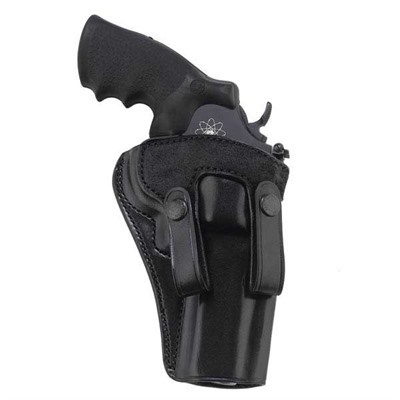 Lightweight and comfortable, it features a snap-on design that allows the holster to attach and detach from your belt without taking off your belt. Reinforced saddle leather construction retains its shape when the handgun is removed. The smooth-out leather construction rides comfortably against the body, and features a full combat grip for a quick and sure draw. Constructed of premium saddle leather, the Summer Comfort fits belts up to 1 3/4". SPECS: Premium Saddle Leather / Fits belts up to 1 3/4".